All of the information about your program is very interesting and resonates with me. What a great research you have been doing, thank you. This way of talking about Qi is very unique and makes sense. I work as an Osteopath and I have been doing some courses on energetics associated with Qi Gong exercises. I think they were designed to improve and build up what you call the nerve fibre network, but it wasn’t taught in a way that could prevent the built up of “hot Qi”, (by the way is hot Qi and Yang Qi would be the same for you? )and I felt myself feeling a lot of these side effects as burning stomach, excess heat in the head, disturbed emotional state….So I put it on the side for a wile now. Even though I feel in general life and my work these different field of bio-energy. Sometimes it is very clear and sometimes very messy…. – do I have a lesion pattern that is reflecting on my patients so I always have the same sensation? – Do my patients suffer from the same pattern? all of them? – Are my left and right hands designed to feel different fields and are dissociated? Your course is very interesting and I will look into it more deeply very soon I am sure. We see from your email that you have already seen some of the bad side effects that you can put your body through while practicing energy work, if you don’t practice things in the right way. Most energy methods don’t consider temperature control when building energy, thinking the more heat the better, but that isn’t really true. The stronger methods can put you into harmful situations because of things getting too hot. It’s why we teach the tri-concept of making the energy form you use feel good & cool. Not using freezing cold or you have the same problem as using too much heat. 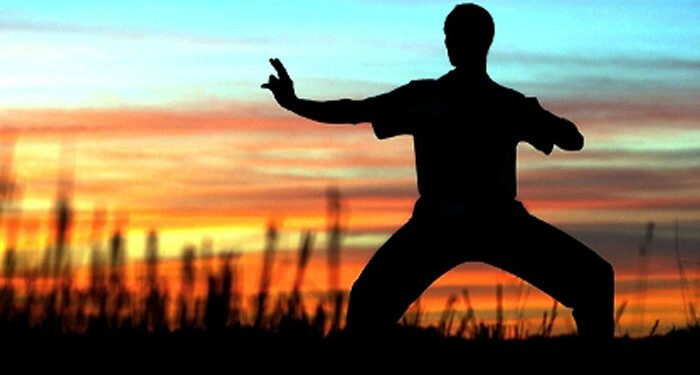 If you check out our backgrounds on the website, you would see both Sifu Cicero & myself have practiced a lot of chi gong or qi gong, as well as Sifu Cicero is currently a licensed Hypnotherapist, but we don’t teach any of those type techniques in our School. Our School of Chi Energy teaches you how to build up high levels of energy without the typical bad side effects, if you use the rules that we have in place. We don’t use heavy breaths, sounds or standing postures to build up energy. Our energy exercises are low aerobic impact, so young or old alike can easily perform them. We also avoid using chi through the head areas on our own body while building chi, as a lot of the bad side effects people go through are from too much energy going through the head area. Our method is not like other methods out there and ours does not mix well with others, since most methods do not control the temperature like we do. Most people find that our method goes fast enough already for them that they don’t feel the need to add extra stuff in their routine anyway. For even more information, check out our School Catalog for the kind of things you will learn to do. Thanks.